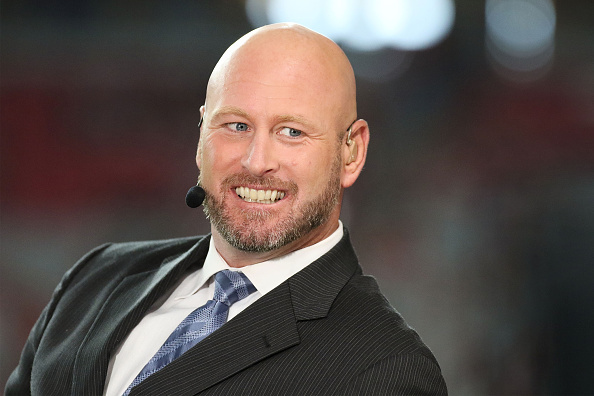 Last year, Trent Dilfer seemingly used anonymous 49ers sources to say Colin Kaepernick's protest had "torn at the fabric of the team." Now, he's bashing anonymous sources. You can literally say whatever you want as long as you said "heard from NFL personnel" or "spoke with a scout" or "got a text from a player"
That has nothing to do with this conversation. However, I do respect Trent a ton as a football mind. You can choose to believe whatever you want, but NEVER did that from Trent. When I used info from him I said it was from him. It’s interesting that Dilfer is now disputing Kawakami’s claims about him spinning for Baalke. It’s hard to know who’s right there from the outside, but the flat denial from Dilfer is notable. And of course, he is commenting on a legitimate problem here (the “anonymous NFL sources” are frequently a plague, and a way for executives to advance their own agendas without consequences), and he’s not wrong. And of course, there is a place for some kinds of reporting with anonymous sources. But it’s still curious to hear Dilfer bashing anonymous sources considering the controversy he kicked up last year by using them. And it doesn’t really matter whether those sources were Baalke or others in the 49ers organization. That particular identity isn’t really the crucial thing here; it’s that Dilfer certainly seemed to be quite happy to pass along anonymous quotes (how else would he know if the 49ers’ organization was “divided”?) last year, and now he’s criticizing that practice.